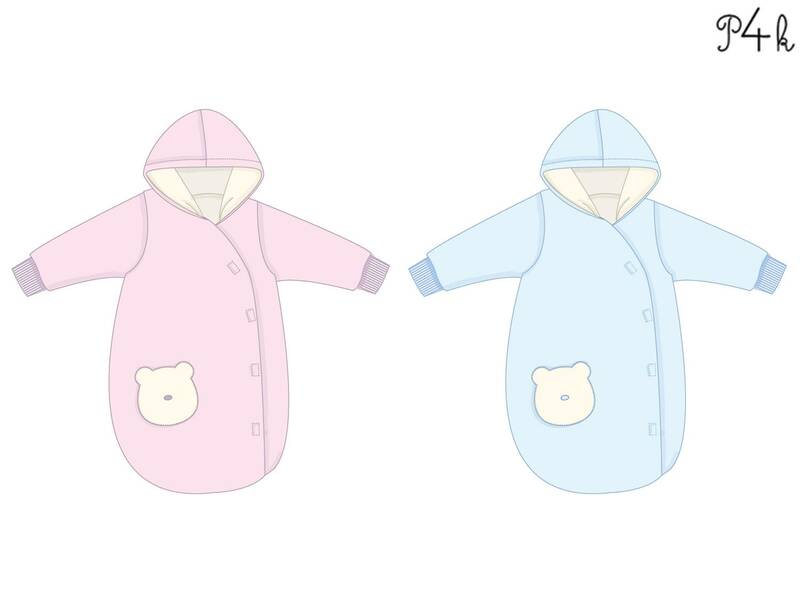 ❤ Lined baby outdoor sleep sack pattern with side opening, sleeves, sleeve cuffs, hood and bear application, the sleeping bag is designed in pear shape. 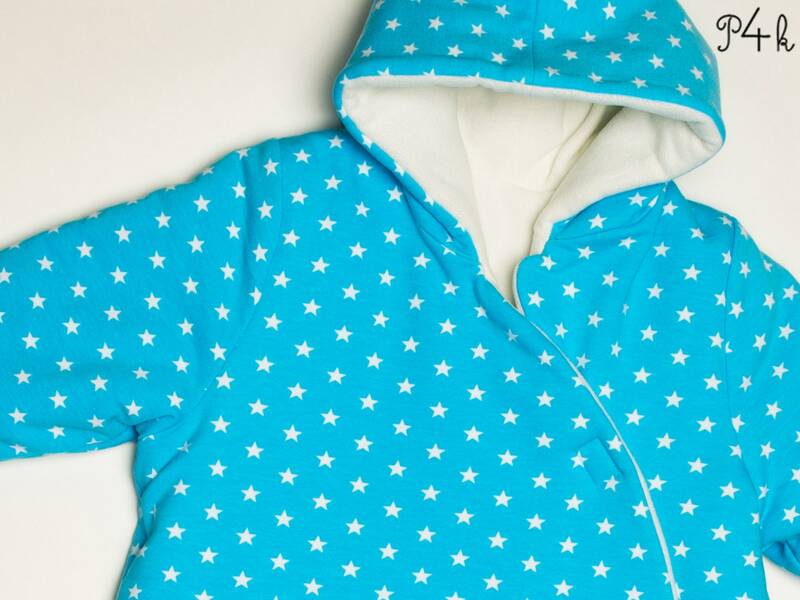 Especially on cold days children feel very comfortable in the cozy soft fleece or velour fabric sleeping bag. It gently caresses the child's body. 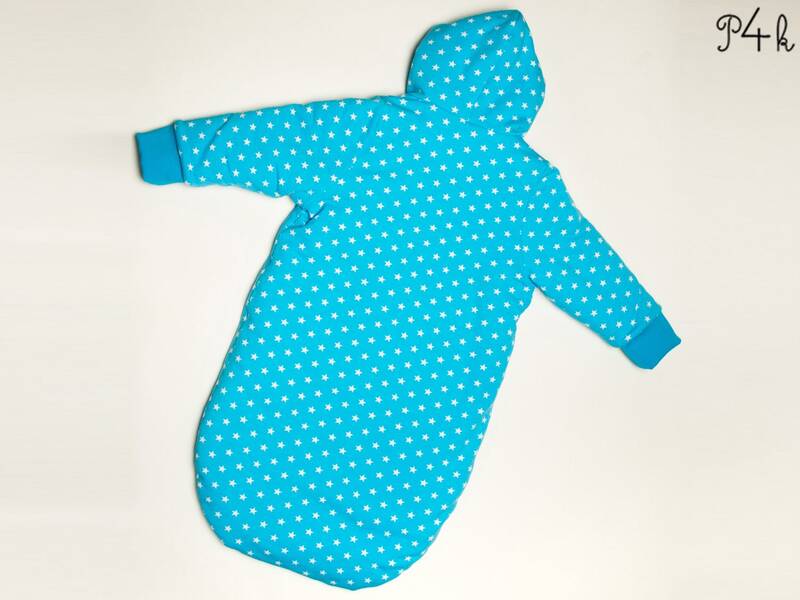 The sleeping bag is opened from the neck to the bottom side with a Velcro tape fastening. ❤ This sleep sack can be worn in autumn and winter. Plenty of room for kicking the legs is given by the pear shape. 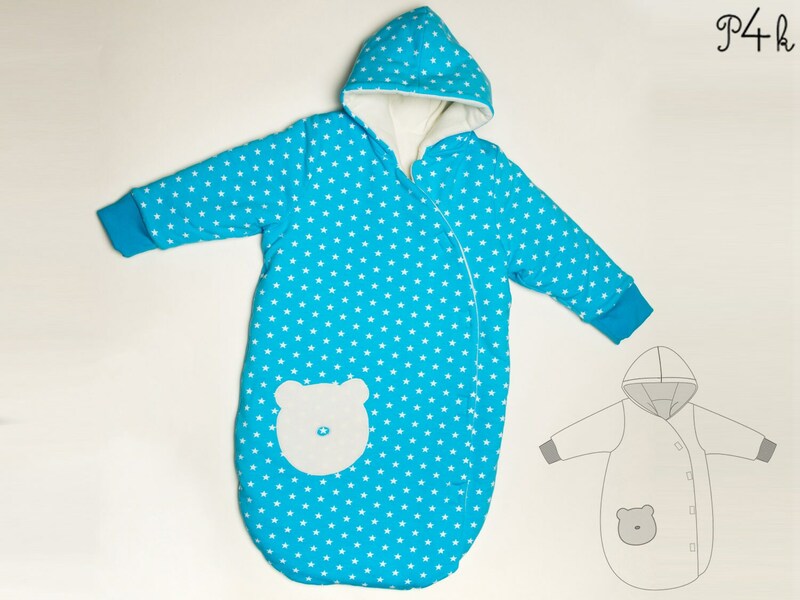 ❤ There is no back centre seam in order to increase the sleeping comfort. The practical accessory can be worn both in the bed, on the baby carrier, on the way in the stroller or at home in the stable.